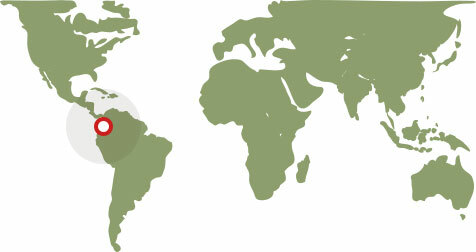 Thanks to Juan Valdez, Colombia is an origin well known to most in the USA. Juan Valdez represents over 500,000 Colombian farmers who tend the rugged landscape of the coffee growing regions of Colombia. Colombia has taken great pride in their production and it is one of the great Arabica producers. Originally known for Excelso and Supremo, coffee lovers have come to know Colombia’s varied producing regions where micro climates bring diversity. At their best Colombians are noted for lemony acidity and good body.